I recently returned from a statewide convention of air conditioning contractors. 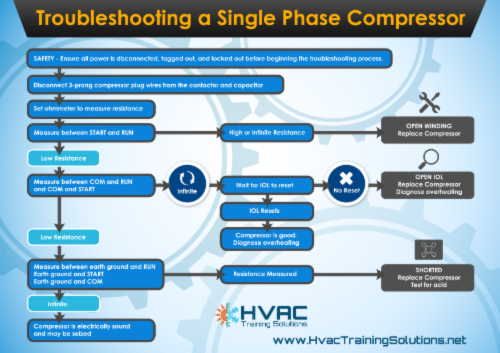 While I have known for several years that for every 4 HVAC techs leaving the industry only 1… YES ONE!… is entering the industry, most HVAC contractors are just realizing it now. I spoke to more than one contractor that said if they lost 1 or 2 more HVAC techs, their business would be in serious jeopardy. It is our fault that we are in this situation and will take years if not a decade to turn it around. This is good news and bad news depending on what you do. STOP looking for HVAC techs with experience.. you can’t find them. LOOK for employees outside the industry who have the character you are looking for. TRAIN your new hires so they can be successful. CHANGE the perceptions of the HVAC trade. Make it technical, challenging, and a good fit for a smart young problem solver. STOP working your HVAC techs to death! Who wants a crappy job like that anyway?!? START a career path for your young helper and installers, pay them what they are worth! CONSTANTLY recruit… hold a job fair. If you do not change the way you are doing business soon, you will no longer be in business in the future. If you are not a contractor and have character and desire a lifelong career field were you can earn $30 – $35 an hour without a college degree, please let me know. I have a group of contractors looking for YOU!